Got friends? Share the site! a few facts about wolves. Pups are born completely blind and deaf at birth. They depend solely on their mothers. 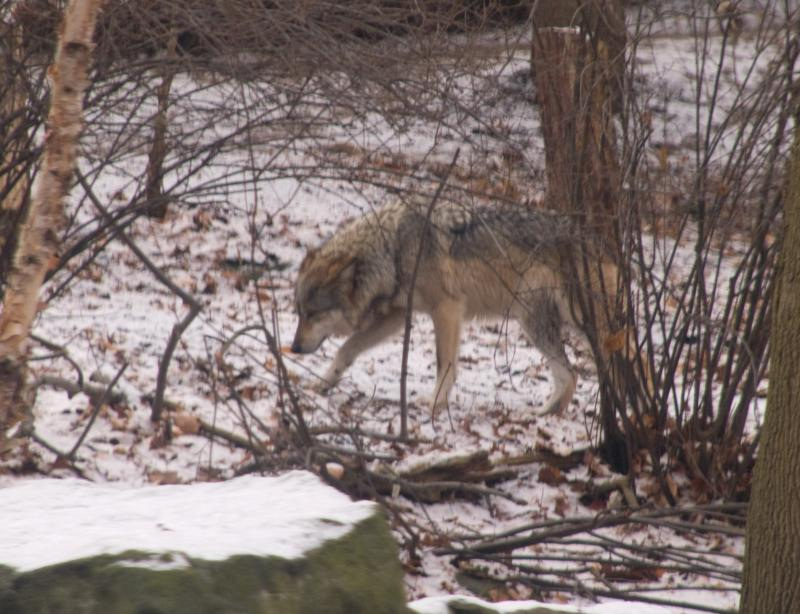 Wolves can carry many deadly diseases, including foot-and-mouth disease and anthrax. 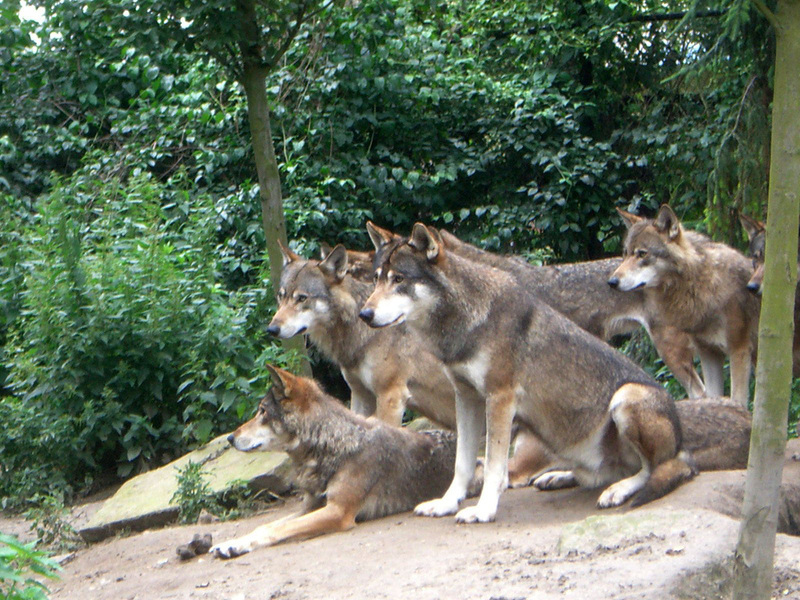 Wolves prefer to hunt in packs to ensure that they catch their prey. There are 4 to 36 wolves in a pack. Two to six of them stay at the den. They have a territory that ranges from 130 to 13,000 km. They will defend it. They eat anything from a mouse to a moose, depending on what is available. Adult wolves have large feet. 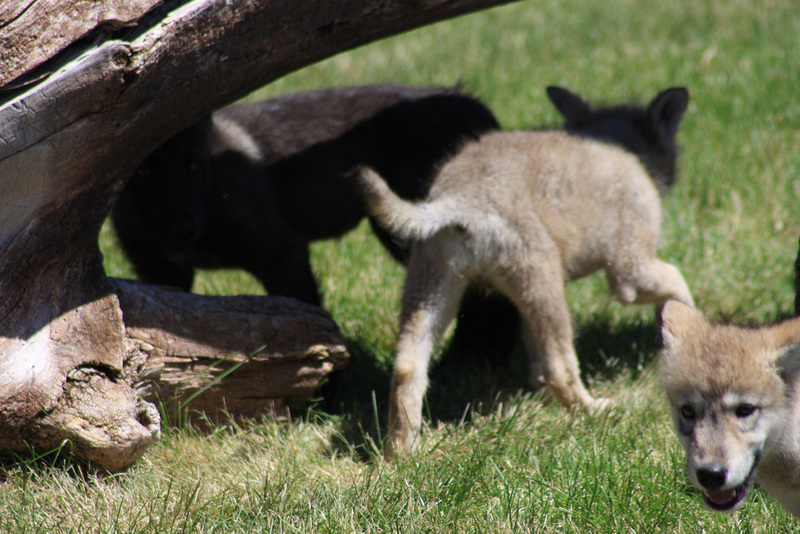 A fully grown wolf would have a paw print nearly 13 centimeters long and 10 centimeters wide. Dogs have coats of fur and 4 legs. Wolves have longer muzzle and legs, larger feet and broader skull. Due to their domestication, dogs have lost their ability to hunt. Their teeth are too small to rip open a deer's throat. 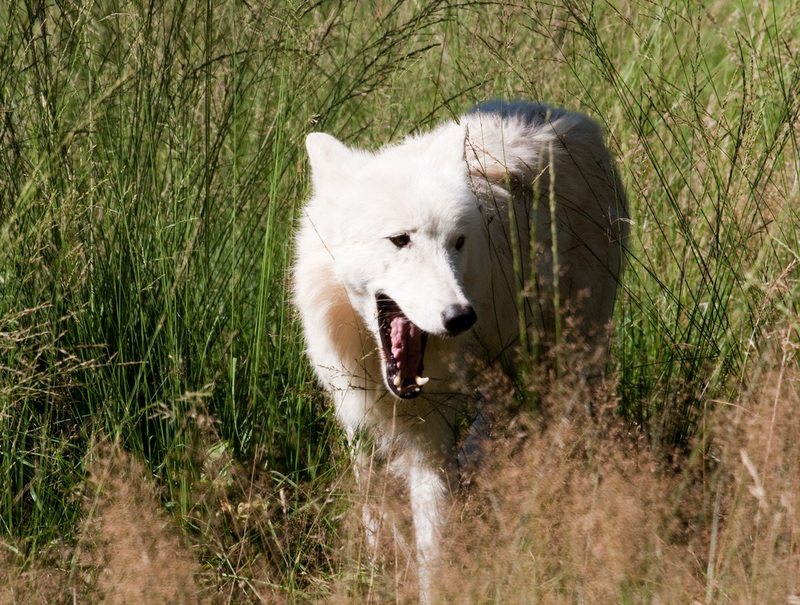 Wolves are much stronger and their teeth are excellent for hunting. The dog can be domesticated, are good companions and are suitable as pets at home. A wolf is a wild animal and not suitable as pets. They are trainable only to a minimal extent. A dog barks but can howl when necessary. Sometimes growl at slight disturbances. Dogs also bark for joy. Dogs always live near humans, even if they are ownerless. They scavenge human waste. 3 week old puppies already approach humans. Wolves have stronger instincts and love to live in packs. dog's brain has adapted to picking out words in the stream of speech and dogs learn words with no spcil training, just by being part of a family.